Attention Vegas Golden Knight Fans! 1. Prepaid Parking – Guarantee your parking spot at lasvegas.parkmobile.com. 2. UBER/rideshare (Excalibur northwest lot – quick walk to/from arena). 3. RTC (4 VGK express routes from different spots in the valley. $2 each way). 5. Walking from nearby properties – New York New York, ARIA, Park MGM, MGM Grand & Excalibur. 1. Cash parking available at Luxor, Excalibur and MGM Grand garages only. 2. 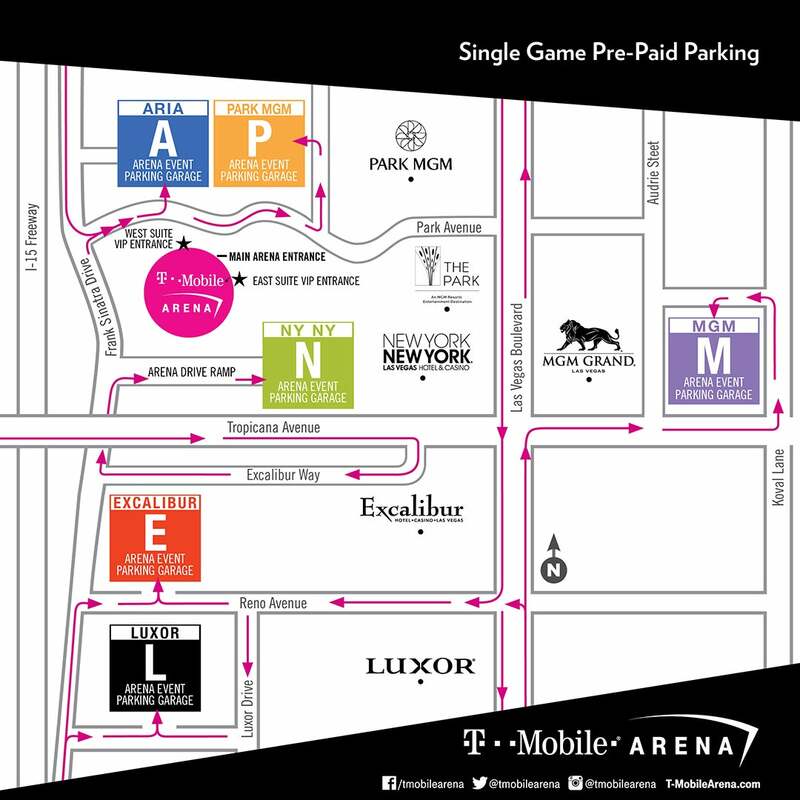 Prepaid parking available for purchase up until 7 hours before the start of the game. Reserved Event Parking provides patrons an opportunity to pre-pay for parking at facilities with close proximity to The Arena. Reserved Event Parking is available at Park MGM, New York-New York and the Aria Event Garages on a first-come, first-served basis. A discounted rate is available for patrons who purchase prior to the event date. Prices are subject to change. Patrons cannot purchase Reserved Parking on-site at any of the parking facilities the night of the event.